Innovation Real Estate - Price reduced! Owner is serious! Make an offer today! This outstanding two storey townhouse will certainly impress and is situated in a small, secure complex on the border of Forest Lake and Richlands. Great as an investment property as potential rental return is $365per week. This immaculate townhouse is 1 of only 13 modern townhouses located within a small and secure complex on the border of Forest Lake. The complex features fully landscaped gardens. Located within walking distance is the Richlands Train Station, Day care centre, Schools, Richlands Hotel, McDonalds, the newly built Richlands Plaza featuring Woolworths, Doctors, Chemist, Bakery, Bottleshop, Gym etc. Only a short drive to the nearby motorway into the city. Also located only minutes away from the Forest Lake parklands boasting Brisbane's largest recreational lake along with parks, waterways, walking and cycling trails. There is also the Forest Lake shopping centre with over 60 retail stores. This property offers a great combination of a convenient central location, thoughtful layout and those fantastic City views. 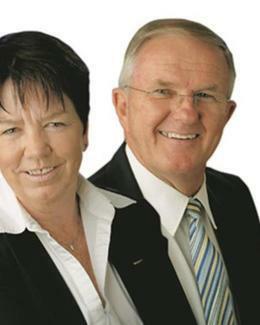 Contact Jan and Alan for a private inspection.